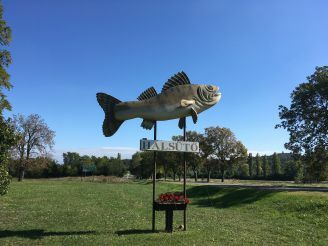 "Aszófői Halsütő" is a small roadside restaurant that is known for its fried fish. 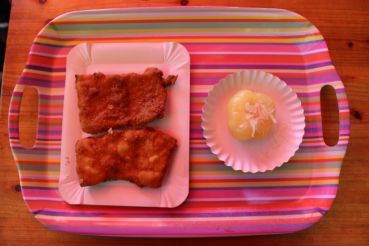 It's a place, which the locals would advise you to see if you are after the region’s cuisine. 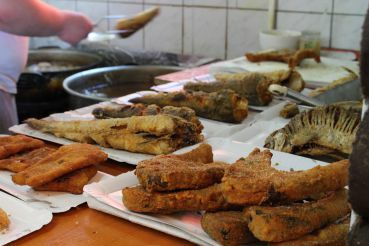 The fish is fried in deep fat right in front of you. 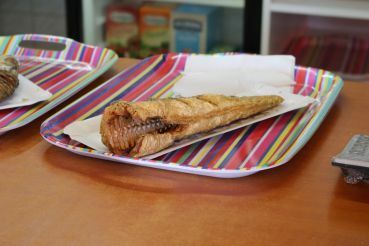 You will find a fairly large selection! 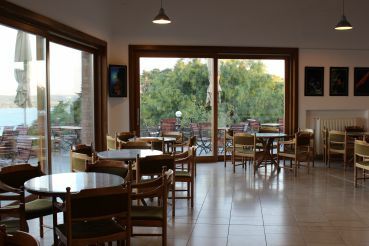 It is a popular and inexpensive place with shops on the street and self-catering. 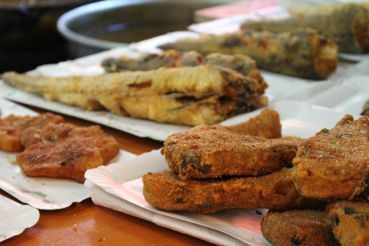 Here, you can choose from a variety of fried fish. 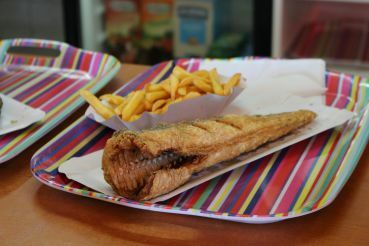 By the way, you do not buy a small piece but a whole fish! 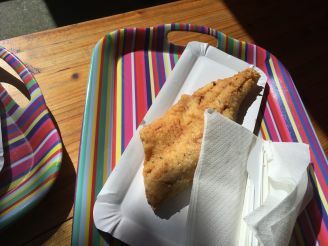 The only exception is, perhaps, a catfish fillet that looks like a slice of chop. 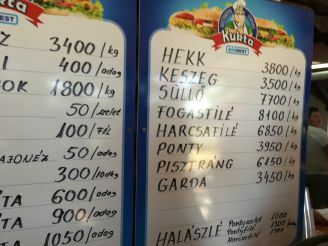 The most expensive is a perch fillet (8,100 forints (about 25 euros) per kilo). 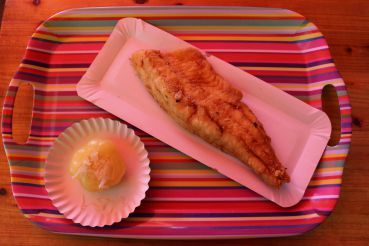 Catfish – 6,850 forints (about 21 euros). 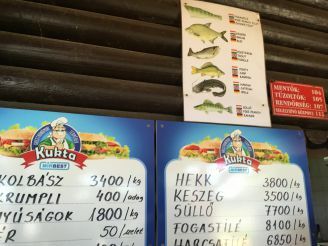 Carp – 3,950 forints (about 12 euros). 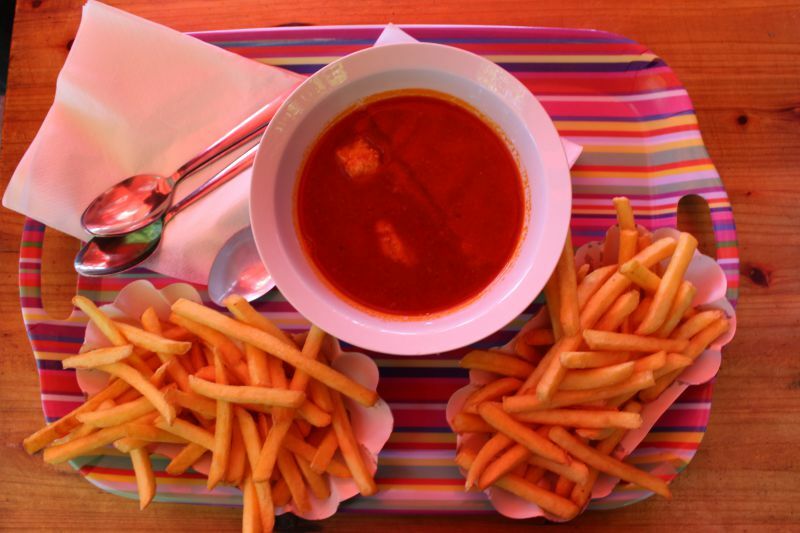 Fish soup – 1,000 forints (about 3 euros). 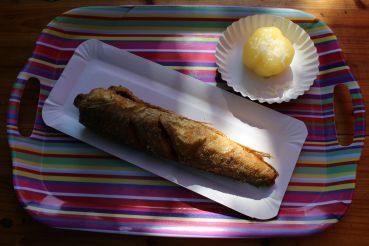 Hake – 3,800 forints (about 11 euros). The final cost depends on the weight. 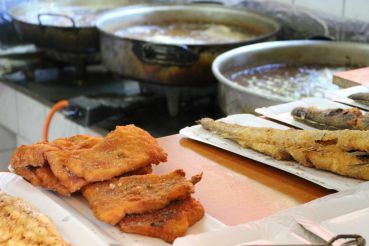 It is worth trying the famous fish soup, which the region is so proud of. 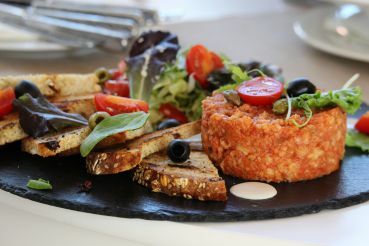 It is cooked with the tomatoes and paprika. As a side dish, you can take French fries. Instead of salad, you can choose from pickled peppers stuffed with sour cabbage and the pickles. The wait is only about 10 minutes. 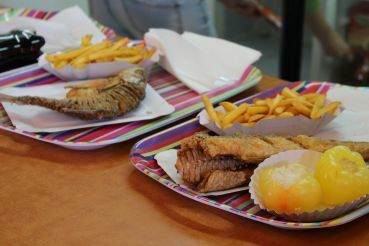 You take your order to the table yourself, but do not forget to clean the table after you finish. 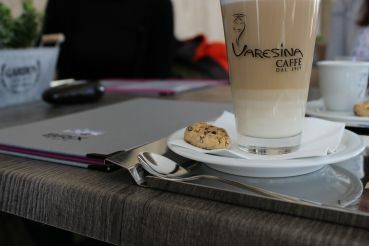 Opening hours: from 10:00 to 17:00. 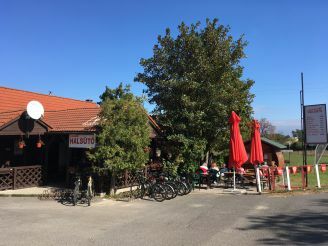 The easiest way to visit the cafe is on the way to the Tihany Peninsula. 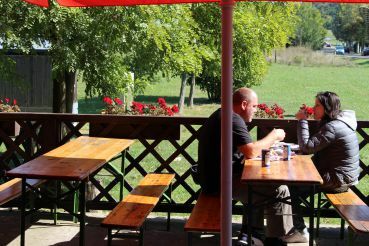 Another great choice is travelling by car, because the restaurant is located right next to highway 71, on the way from Aszófő to the Tihany Peninsula. If you are using public transport, get ready for a 20–30-minute walk. You need to get off at "Tihany, delta elágazás." You can take a bus 7355. 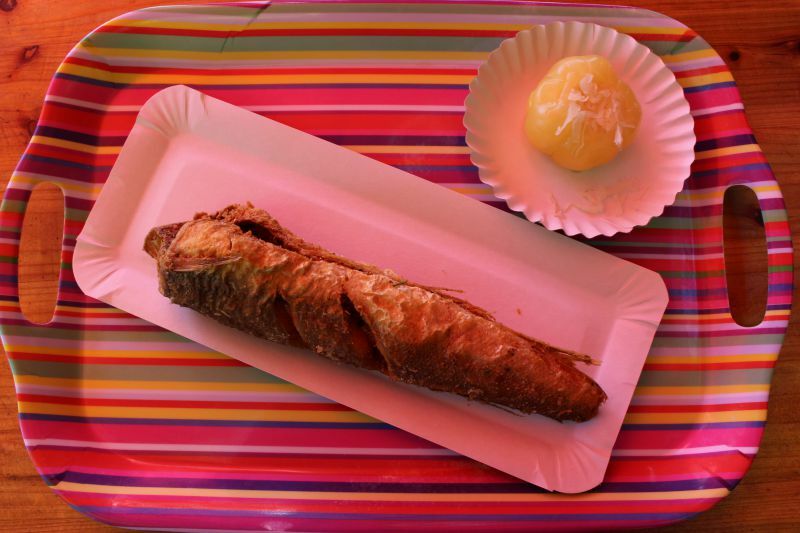 By car, it takes only 6 minutes from the Tihany embankment to the cafe. Just follow road 71.